Dr. C. D. Owens, Dr. William A. Winn and Dr. Robert Dunville Windes Sr. - Practiced medicine at Holmesville. Law Office Almanac - Legal Directory for the State of Louisiana: Fabius Ricord. Holmesville resident. 1843-44: Sheriff, Avoyelles Parish, Sixth District. (Taken from Law Office Alamac). Marksville Bulletin - Sept. 3, 1881: Last Friday evening, James Clarke, a bridge foreman on the Morgan railroad, and who was working between Washington and Holmesville, was run over by a hand car and almost instantly killed. There were it seemed several man on the car and whilst passing through a cattle gap he accidentally fell off and was run over by the car. The deceased is said to have been from Maine. (Randy DeCuir). 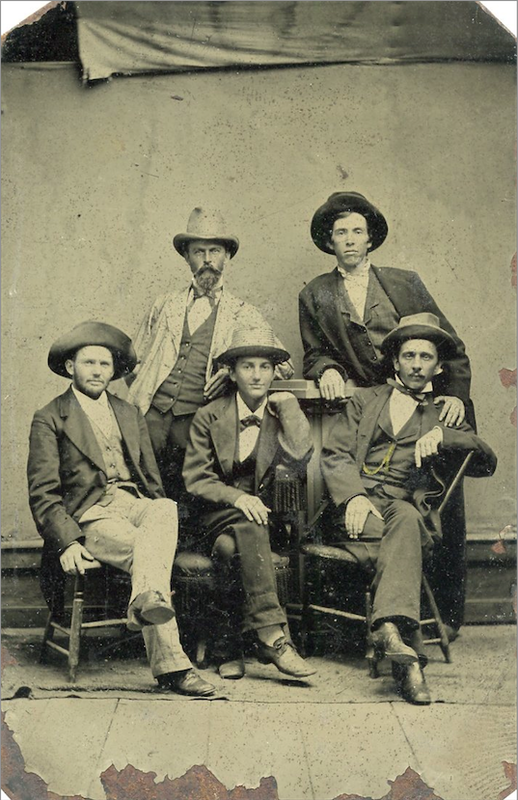 Marksville Bullentin - Sept. 24, 1881: Fatal accident from a hunt, stopped at the store of J. W. Muse & Co. in Holmesville last Saturday and in letting his gun down the hammer came in contact with the floor and it discharged, the contents lodged under his chin. There were fifteen buckshot’s which took effect, breaking his neck and nearly blowing his head off. He was a good man and enjoyed a good reputation among his race. (Randy DeCuir). 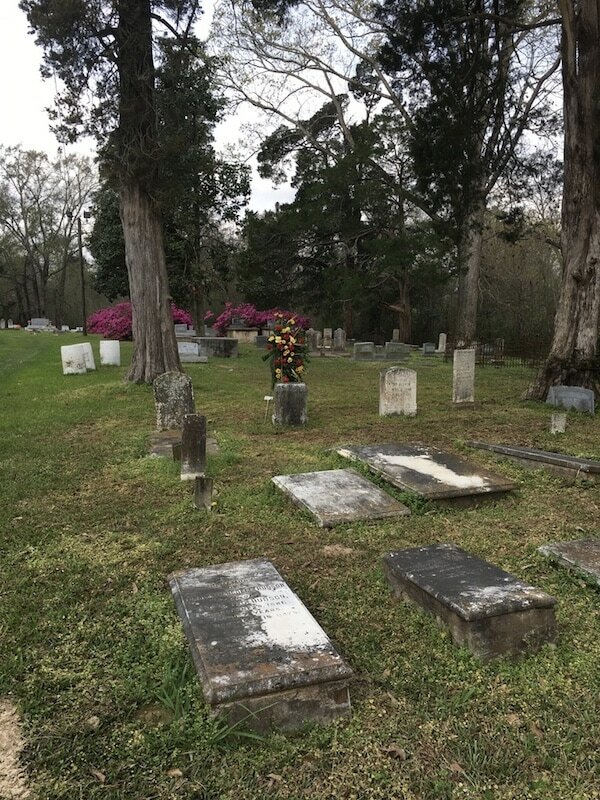 Marksville Bullentin - Feb. 19, 1881: Again death hath entered the family of our friend, D. B. Hudson, of Holmesville, and snatched from their midst one of the brightest Landall Oldest son. So bright and lively the ravages of disease that even those who had watched him closely could scarcely realize that Landall was dead. But this, another jewel is removed from earth to its place in the Heavenly Casket, where together, three little brothers and a sister are free from human sufferings. A large circle of friends offer this, their heartfelt sympathy to the diffiieted family. A Friend. (Randy DeCuir). Robert Dunville Windes - In 1834 he brought over 900 acres at Holmesville and it was called the Windes Plantation, and is where Ms. Janet Webb resides today. He raised cotton and built a cotton gin. He died in 1912. One of the last persons to see him during his illness was my great-aunt, Bessie Hudson, who was a nurse. The Windes family wrote a book titled: “The Windes of Bayou Chicot and Holmesville, Louisiana”. The life and times of D.B. Hudson, like the past generations of our ancestors, are practically lost to the years and their legacies are barely remembered by their own families and even less by others. D.B. Hudson is among the many that fall in this category. Nevertheless, he has always been remembered as a pioneering leader in our family and this is why I am thinking about him today, a century after his death. One hundred years ago, my great-grandfather D.B. Hudson of Eola died. His death notice was as follows: Died, At Eola, La., on Wednesday morning, February 28th, 1917, at 6 o’clock a. m., D.B. HUDSON, aged 75 years. Funeral services will be held at his house, Thursday morning, March 1st, at 8:30 a.m. Interment in Evergreen Cemetery. Friends and relatives are invited. From the accounts that his daughters (my grand mother, Anne Virginia Hudson LaFleur - and my four grand aunts - Myra, Bessie, Josie and Julia Hudson) related to me during the 1940’s to the early1960’s, their father was a man of judgment, integrity and sound practical sense. Along with my father, Edwin G. LaFleur, they described him as an accomplished man who made a difference in whatever venture he pursued. They also recalled him as having high social qualities and living an eventful life that was linked with noteworthy successes and intermittent periods of profound grief. He was particularly admired for being deeply devoted to his religion, and upon moving his family from Evergreen to Holmesville in 1878, their attendance continued every Sunday at the Bayou Rouge Baptist Church. ​In commemorating the 100th anniversary of his death, I would like to list a few milestones and associated comments to honor his remembrance. In 1878, D.B. and his family moved to Holmesville in Southwest Avoyelles Parish where he continued his general merchant business and became postmaster in 1880. In 1881,when the new Morgan Railroad bypassed Holmesville by one mile, D.B. moved to newly established Eola next to the railroad. (6) He built a large house and an equally large general store. At the same time that D.B. and his family moved to Eola to start over again, he initiated correspondence with the Topographer of the Post Office Department, Giles A. Smith, to relocate the Holmesville post office to Eola. The move was approved on Nov. 11, 1881, and the post office location name changed from Holmesville to “Eola” on Nov. 14, 1881. (7) It was located in the new Hudson General Merchant Store and D.B. Hudson became the first postmaster at Eola. Eola became his permanent residence. He was postmaster from 1880-1884 and again from 1888-1896. He served as Postmaster until being elected to the Louisiana Legislature from 1884 to 1888 and also from 1896-1900. He was recognized for being elected twice to the Louisiana Legislature by being named posthumously Avoyellean of the Year for 1896 by The Greater Avoyelles Journal. (8) He was in the mercantile business for 39 years at Holmesvlle and Eola (1878-1917). (When he died in 1917, his son, George B. Hudson, became Postmaster and held the position for 42 years from 1896-1938 while also continuing the Hudson general store business trade in Eola. Upon his death in 1938, the Hudson store closed). Once, in the early 1940’s while visiting his daughter Josie Hudson on Christmas Day, as was the family custom for many years - she was born in the Hudson home and lived there all the 80 years of her life - I walked alone into the large dining room (first door on the right upon entering the great hall of the Hudson home) and seated myself in the head chair at the magnificent dining table. I remember that it was a chair too large for a small boy, but I sensed a touch of nobility sitting at the same place where Daniel Hudson once presided over his family and friends. Since I reside outside of Louisiana, (Maryland) I do not visit Bunkie and Avoyelles Parish as frequently as I would like. However, when I do visit, the Evergreen Cemetery is always first and foremost on my agenda. 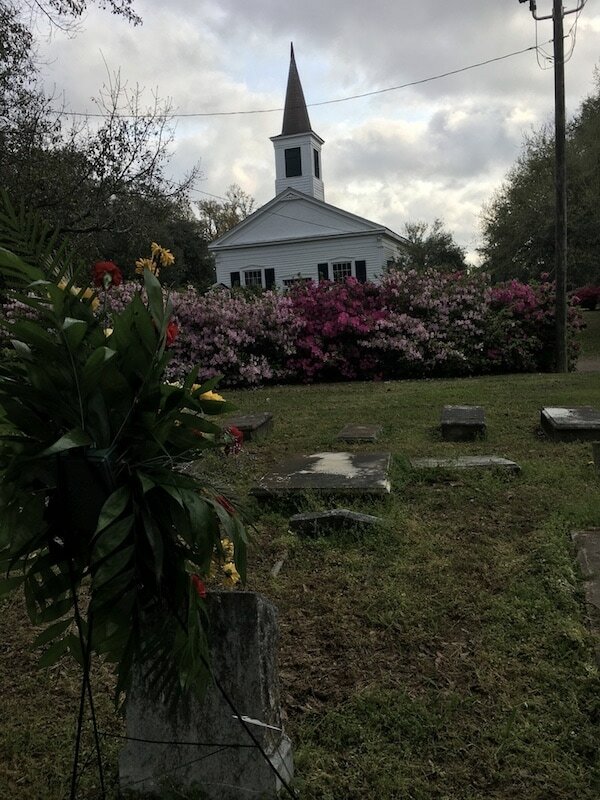 It is a beautiful cemetery -- abound with giant magnolia, holly, hickory, and cedar trees – just as is the quiet beauty of the Bayou Rouge Baptist Church. The Hudson family burial place is a distance of only fifty steps from the front of the Church. While walking these few steps, I try to replicate - to look back – to trace D.B. Hudson’s own footsteps and contemplate his thoughts while being among the many soldiers, just like him, who faced the trauma of being on the Civil War battlefield while still a teenager and in his early 20’s; I see him being injured and walking approximately 900 miles back to his home in Mississippi - and returning to the battlefield upon recovering; I see him arriving in Evergreen with his family to begin a new life at age 28; and, as I approach the Hudson burial site containing several small-sized tombs, I sadly visualize him again, surrounded by his family and accompanied with the desolate sorrow and the heartbreaking memory of burying 5 of his children in a span of only 7 years; I see him again - in the State Capitol at Baton Rouge as a legislator from Eola, in Southwest Avoyelles Parish as the people’s elected representative, not once, but twice, from that district; and, I see him once more, happily mingling among those that stopped by his large general store in Eola, during later years of his life. These are the reflections that instinctively capture my thoughts while standing by his gravesite in Evergreen. In recalling the observations expressed about him from the Hudson family and my father, I would say that he is the personification of a truly Great-Grandfather – both in stature and in family perspectives. Today, we celebrate his memory and the honorable qualities he demonstrated in his personal and professional life – qualities that have continued to be held in high esteem. We honor him for being the patriarch who faithfully led his family during their heartfelt moments of unmeasured sadness. ​If I were there on this special day – February 28, 2017, the 100th anniversary of his death -- I would pay tribute to him with a graveside salute – a salute to a hero. The following letter, written at Holmesville on April 1, 1883 (next page), was among the several letters found in the attic of the old house where we once lived: “Mrs. Jim Kelley is expected to dye. Dr. Owens sayed there is very little hope for her. Minnie cryed. ” This particular letter is noted because it mentions Dr. Owens, who resided in Holmesville and was well-known in the state of Louisiana at that time. I received your letter yesterday evening and glad to hear you arrived safe. I hope your trip was exciting and pleasant. I suppose they were glad to see you. Mrs. Jim Kelley is expected to die. Dr. Owens said there is little hope for her. Minnie Cried. After you left Sister asked her what was the matter - she said you wouldn't take her hand to go in the car. Layton went to Evergreen yesterday. (continued from page 1 of the letter above) ...excursion from Eola Sunday. Only four dollars can stay two days in the city. Mama sends love and say a kiss to cousin Anne for her. I was frying fish for dinner and stuck the fork in my thumb nail. I guess it will be sore by tomorrow. You know how unfortunate I am. It has been beautiful weather ever since Sunday. There is no news. Write soon and let me know if you like the city. All are well. Give my love to all and kiss Molly for me. Love to Miss K. and Eddie. Unknown Individuals. This tin photo was found among the rubble that was in the attic of the “Old Holmesville Home” where my family lived from 1931-1950.